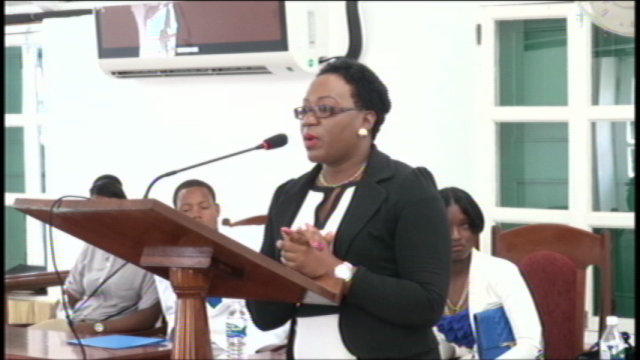 NIA CHARLESTOWN NEVIS (March 12, 2015) – In the observance of Commonwealth Day, a special sitting was held by the Youth Parliament at The Nevis Island Assembly On March 9, 2015. Students of forms 3 and 4 of both the Charlestown and Gingerland Secondary were chosen to debate a bill entitled the Nevis Youth Appropriation Ordinance 2015. The bill was introduced by Premier and Minister of Finance Hon. Rol-j Williams. President of the Nevis Island Assembly Hon. Farrell Smithen expressed how pleased he was with the presentations made by the young parliamentarians who he worked closely with. He also stated that he believes that opportunities like this special sitting help children to become aware of their full potential. “I must say to you all this morning that I was pleasantly pleased with their performance. One of the things that stuck me was the passion in which each and every one gave of their performance this morning… It shows the passion in which the children once they are given the opportunity. What they can do,” he said. Smithen also explained that students from third and fourth form are chosen as members of the Youth Parliament so that they could dedicate at least two years of service before their sitting of Caribbean Examinations Council Exams. Clerk of the House Shemica Maloney thanked the Hon. Farrell Smithen for working diligently with the young parliamentarians. She also said that they looked forward to the future Commonwealth Day events. Also present in the gallery were Parliamentarians Premier of Nevis Hon. Vance Amory, Hon Troy Liburd, Hon. Alexis Jeffers,Hon. Hazel Brandy-Williams and former member of Parliment Arthur Evelyn. 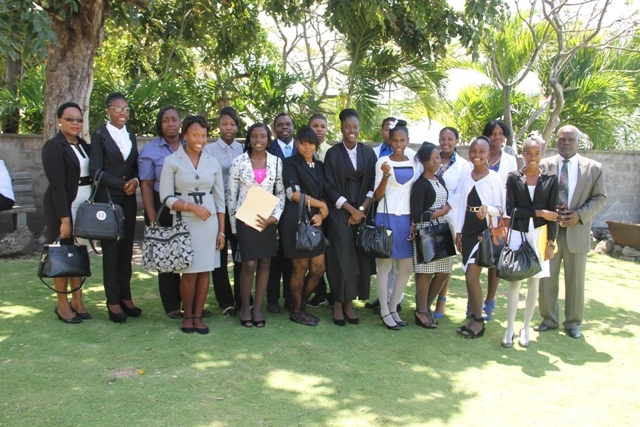 The students who participated in this special sitting were Joanne Manners (President of the Youth Parliament), Sabrina Orr, Rol-J Williams, Rashida Kamau, K-jel Smithen, Tassai Pemberton, Vincia Gumbs, Rickila Hanley, Chelcia Burke, Delcia Burke, Shaquanda Challenger, Naomi Thompson, Debriana Herbert, Maia Hibbert and Antonio Mills.